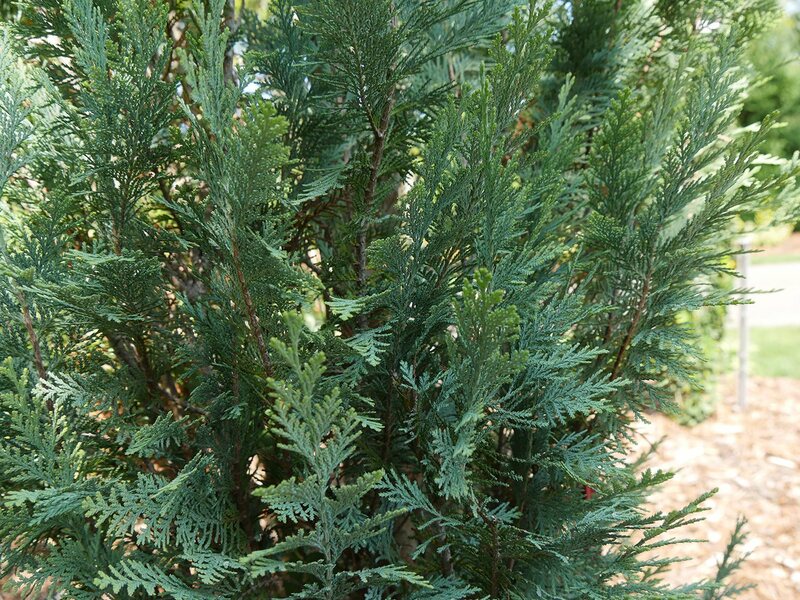 Feathery blue foliage persists all year, remaining bright even in winter. 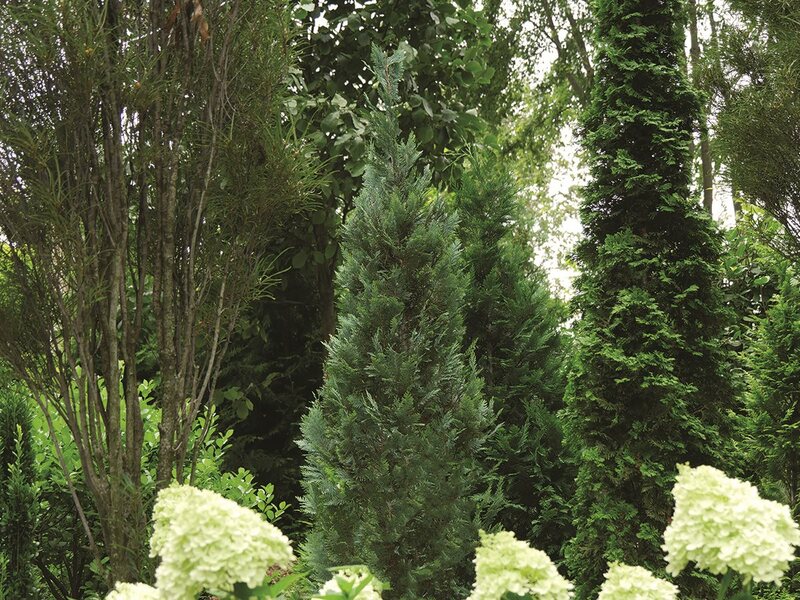 Narrow, columnar growth takes up little space in the landscape and needs no pruning to maintain. 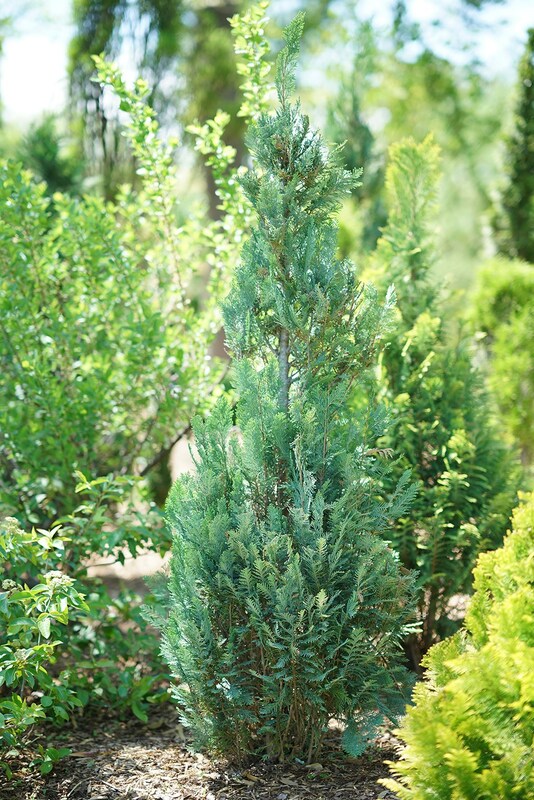 Space-saving evergreen.